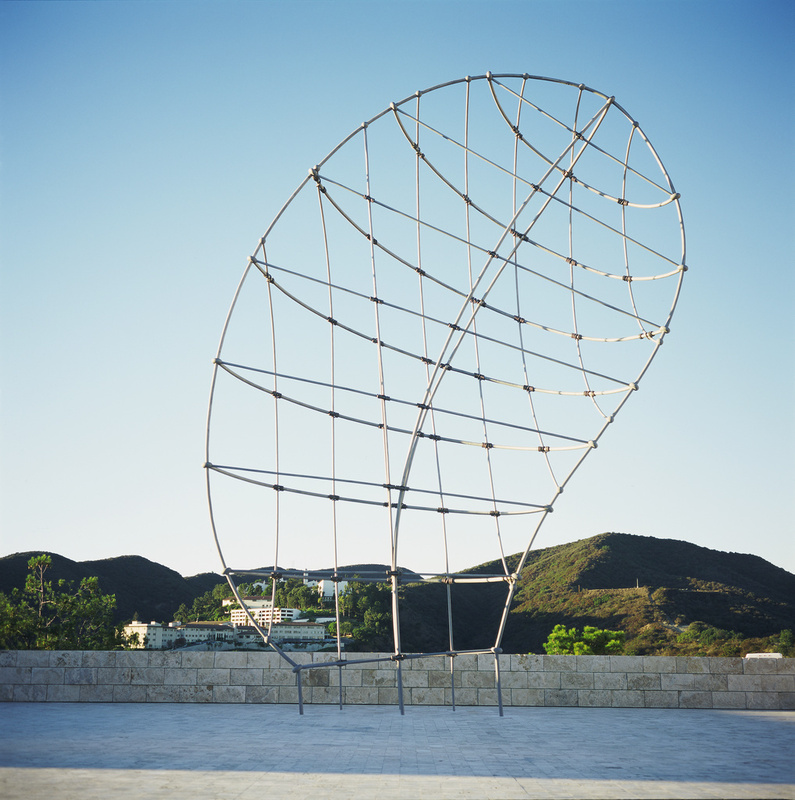 A marvel of artistry and engineering, Martin Puryear's sculpture rises on six slender legs to a height of forty-five feet above the broad expanse of travertine pavement on the plaza at the Getty Center. Stout strands of silver-patinated bronze bind the joints of the airy network of welded, sandblasted stainless steel tubes, two and three inches in diameter. Elegant in its apparent simplicity, the sculpture's complex structure reveals its true character only slowly. The sculpture's meaning likewise resists a fixed identity, suggesting both a delicate fishnet cast against the sky and a human head in profile. From some viewpoints, it appears to be fully round, but its south face is flat, while the north face curves gently through the air. That Profile was commissioned by the Getty. The four basic techniques for creating sculpture; resource for a K-12 curriculum about sculpture.